Fiona trained as a nurse, health visitor and district nurse at Manchester University in the UK. She has held positions as staff nurse and Sister predominantly in surgical nursing before training as a clinical teacher in surgical nursing and obtaining further teaching qualifications. 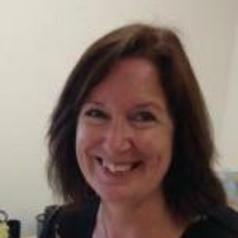 Fiona has worked in England, Scotland, the United States and Wales in a variety of practice and educational settings. Latterly she has worked in higher education in Wales at Swansea University obtaining a Masters and PhD focusing on nursing and women’s health with a special interest in early pregnancy loss. She has had extensive experience educating nurses and other healthcare professionals and has a strong focus on research including PhD supervision and research leadership which included developing a strategy for nursing research for one of the Welsh health boards. She has a strong interest in supporting practising nurses to research their own practice and sees this role as an opportunity to work with nurses and midwives to identify questions that come from their practice, working with them to develop these into research projects and supporting them through the process.